Automotive Sensor - Misensor Tech (Shanghai) Co.,Ltd. Misensor Level Sensors are done by a series of reed switches positioned inside the electronic tube, a float with built in magnet moving up and down when fluid level changes, would trigger the reed switches inside the tube respectively, thus, generate a potential free resistance signal with an Ohm value to indicate the change of fluid level. 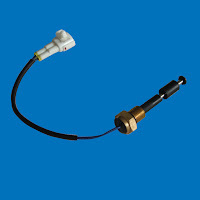 The switch contacts are hermetically sealed in the inert gas, and operated by a float magnet which is the only moving part of the sensor, thereby minimize potential mechanical failures. 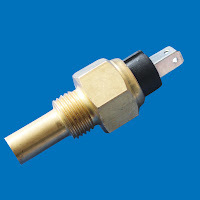 It is more reliable than the traditional resistive fuel level sensor. Truck, bus, construction machine, diesel generator, off-road equipment, boat and GPS system. 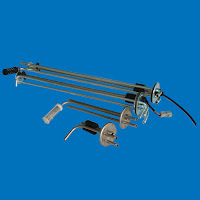 ALS automotive level switches consist of the subassembly with including the reed switch and the housing with the float (including the magnet). Typically they are used to provide a low level warning of engine coolant, screen wash fluid, brake fluid, hydraulic steering fluid, or oil water separator. 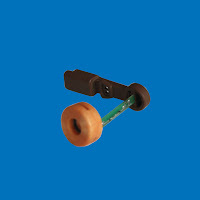 It is a simple and reliable solution for various automotive level sensing applications. 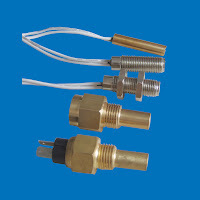 TS series temperature sensor is composed of NTC thermistor and thermal reed switch, an optional alarm device. It is typically used to measure engine coolant, oil and fuel temperature for automotive, marine, diesel generator sets, and off-road vehicles.